According to the U.S. Department of Veterans Affairs, in 2014 an average of 20 Veterans died by suicide each day and that number continues to grow. To put this into perspective, Veterans, despite accounting for 8.5 percent of the total U.S. population, account for nearly one-fifth of all suicides nationwide. Heavily-populated military states such as California and Texas have historically not reported Veteran suicides, so the number may actually be much higher. These startling statistics are why The University of New Mexico’s Counselor Education program is investing in classes and research to support the mental-health and educational needs of our Lobo Veterans. According to recent studies, as many as half of the Veterans that would qualify for a mental health diagnosis do not seek treatment. The likely culprit being the stigmatization of mental health issues in the military and civilian sectors. In fact, the military formally requested that the word “disorder” be removed from the Diagnostic Statistical Manual of Mental Disorders V (DSM-V) to help combat the problem, but the request was denied by the American Psychiatric Association in 2013. 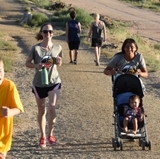 The Green Zone paw identifies allies to the military community, faculty and staff, who have completed training to help foster a supportive environment at UNM. Research also suggests while many Veterans are validly hesitant to ask for assistance, they will also tend to accept assistance when offered. UNM’s Counselor Education program sponsors a clinic—the Manzanita Counseling Center where Veterans can receive needed help. At the Center, the Counselor Education program is developing research to help end mental-health and Veteran related stigmas. The program is also offering a course for Veterans-in-Transition (COUN 492) from the military to college, taught by Instructor Aaron Smith, a doctoral student and eight-year Veteran of the U.S. Marine Corps. 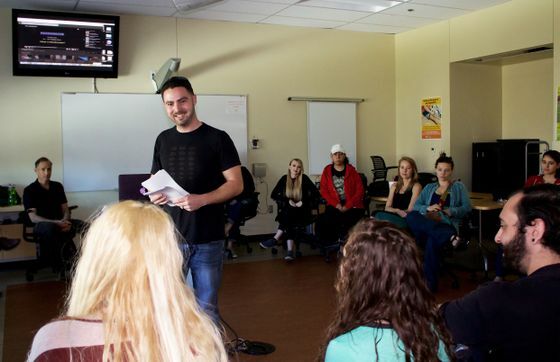 Aaron Smith, Veterans-Transition course instructor, introduces a guest speaker to his class. The speaker, a longtime monastic Buddhist monk, joined the student-Vererans to talk about and engage in mindfulness meditation. There are also opportunities for faculty from all departments at UNM to become a source of support for student-Veterans. 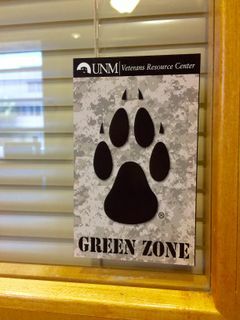 Professors and class instructors can enroll in Green Zone training offered by the UNM Veterans Resource Center to learn more about how they can make their classrooms safer for student-Veterans. 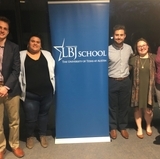 To support keeping Veterans in the classroom, student-Veterans are organizing a campus-wide service learning campaign to end Veteran related stigmas across the university. On Nov. 9 from 9 a.m. to 2 p.m. the UNM community is encouraged to stop by the northwest corner of Smith Plaza to learn more about support programs and smash a pumpkin after learning information that counters a stigma regarding mental health or Veterans. Students will also be encouraged to make a commitment to make at least one other person aware of this information. Community members interested in donating pumpkins for the event can contact Aaron Smith at asmith12@unm.edu. To refer someone to the UNM Counselor Education Program’s clinic, the Manzanita Counseling Center, call 505-277-7311.